Replace the external mute switch cover in an iPhone 3G or iPhone 3GS. The internal switch is not included. Replace the external volume button cover in an iPhone 3G or iPhone 3GS. The internal audio control button switches are not included. Replace the external power button cover in an iPhone 3G or iPhone 3GS. The internal power button switch is not included. The iPhone 3GS was introduced in 2009 in 16 and 32 GB configurations. This model boasts faster everything, from processing power to downloads. Apple introduced an 8 GB version in 2010 as a lower-cost alternative to the iPhone 4. Although the iPhone 3GS looks very similar to the iPhone 3G, parts are not interchangeable between the two phones. 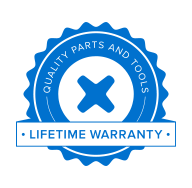 Select your category below or browse all parts to find what you need!